Lights... Camera... TEACH! 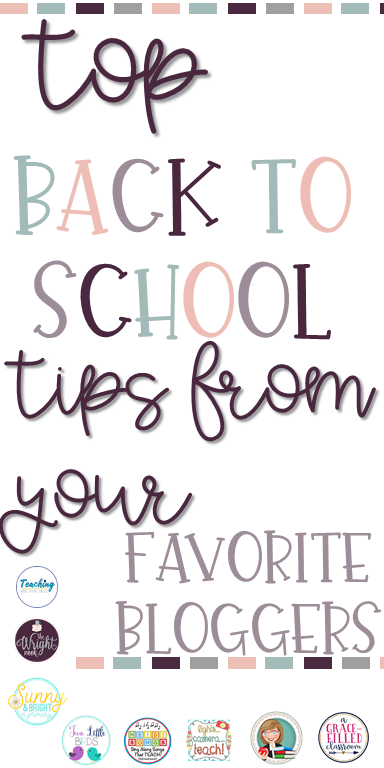 : Easing Back into the School Year and a $100 TpT GIVEAWAY! Easing Back into the School Year and a $100 TpT GIVEAWAY! Thanks for hopping on over. The Back to School frenzy has begun! People have NO IDEA how much time teachers put into preparing for the school year. Purchasing, decorating, researching, printing, laminating, cutting, redecorating, purchasing, adding more, Googling, more purchasing... whew! I'm tired... and that's just in the summertime! I know that A LOT of prep goes into starting off the school year so that you can be less stressed once it gets going. When I was in the classroom, I always had a couple of things in place to make the first weeks easier for me. I want to share them with you in hopes that it can ease your load a little bit. I always had kids start their memory book. What? In the beginning of the year??!! Yes! I would have them fill out the beginning of the year information and then stash it away far back in my cupboard for the end of the year. This helped me because towards the end of the year, it's crazy, too! And I used to wait and wait and wait for the copier because everyone else was copying their end of the year books, too. Then the copier would break. And I would scream in my head...and maybe out loud, too. 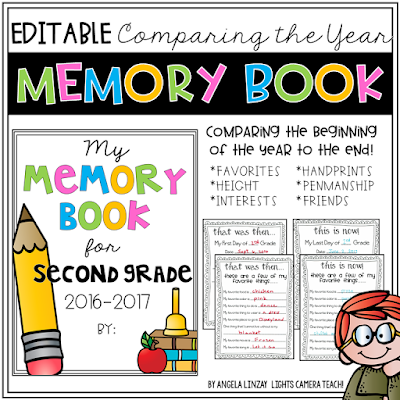 I used my Memory Book/Time Capsule Resource to compare the beginning of the year to the end of the year. My students traced their hands, cut yard that measured their height, wrote their names and listed interests and best friends. THEN I would take them out at the end of the year (all copied and ready to go) and have them work on it again. It was SO easy! 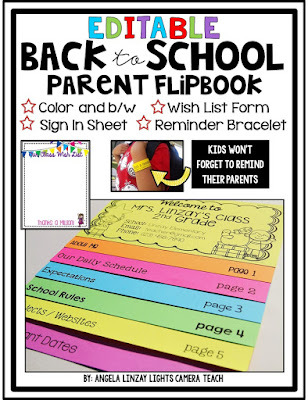 I used a Back to School Night Flipbook template and just entered my own information. I used to make ALL these handouts and I knew parents would just trash them. They had SO many pages. One year I decided to get smart and condense everything. It was awesome because parents ACTUALLY kept these little flipbooks on their fridge. What??!! Yes. It was easy to make and easy for parents to keep. A Win-Win for sure! I needed help here. I would send home notes/forms/permission slips and kids would just shove them into the abyss (aka their backpack) never to be seen again. Especially in the beginning of the school year when I needed their emergency card filled out and I STILL had students who could not remember to tell their parents to fill them out. I created these bands to help with that. No more forgetting to bring forms back. Students go home with these bands on their wrists as a reminder. It really is amazing! Sounds crazy to have some projects up since school just started, right? Well, some teachers have used my Open House Activities Resource to do projects for their Back to School Night. Why not? It's easy because it's filled with templates for each project and detailed directions. So once my school year started, if I could have someone take a small load off my shoulder, it would be a BIG help! I wanted my kids to get started writing right away. Just so they could write something...anything so that I can have a comparison throughout the year. Plus, let's face it. Our kids need to work on writing as much as they can. I used to come up with journal prompts EVERYDAY and then write them out EVERYDAY! I hated writing them but did it because I saw so much growth and the prompts were fun, so it made our time fun. Seriously. 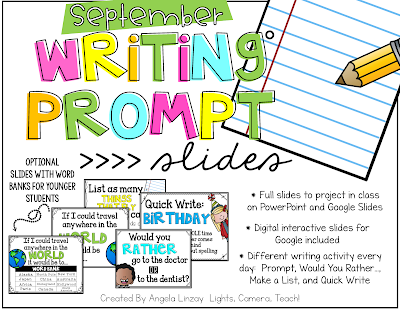 So I came up with an EASY, NO FUSS way to get students writing WRITE AWAY (see how I did that? :) ) without any prep. Just give them a piece of paper/ journal and a pencil then project this baby on the screen. Then have them share with each other. DONE! That's like almost 10 mins of breather time for you and fun/educational time for the kiddos! Hope that you have a wonderful start to your school year! MAKE SURE TO READ ALL EIGHT BACK TO SCHOOL TIPS BEFORE ENTERING OUR GIVEAWAY! When you make it back to me, you've gone through the loop and then you will click below to enter for a chance to win a $100 gift card to Teachers Pay Teachers! 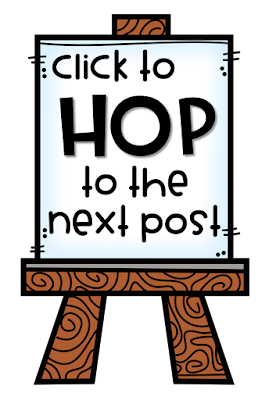 Now, hop over to Sunny and Bright in Primary to read Marcie's tip about making connections & copies! I know! It seems like you can never organize enough! I hand out water bottles as they come in with a message thanking them for all the things they will do this year & parent flipbooks that have all the important info in a concise form. I also get the parents moving half-way through with a music & movement activity that their kiddos do with me in class. What a great idea to hand out water bottles and get the parents up and moving! I give out flip books, talk about our year together, and welcome them into our classroom. Flip books are the best! I greet parents, give out a classroom packet, and have information up on the smartboard about our year's activities. I do a powerpoint with a corresponding handout for the parents. I love the PowerPoint presentation! I keep parents informed by way of a newsletter each week and I have a class Facebook page to keep them informed about class happenings. Newsletter and an FB page? Wow! What a great way to communicate to parents and students! I do an A-Z classroom scavenger hunt at our open house! The kids love showing their parents all around the room! I do a power point presentation and handouts.